I was out at a rare photo shoot yesterday morning (I don’t “officially” do photography for clients anymore, but every once in a while I make an exception), and we got on the topic of cameras, travel, and capturing the best shot to preserve your memories. As much as I love my big camera, more often than not I find myself leaving it at home and capturing our family outings on my phone. And you know what? That’s absolutely ok. It used to be that the quality of a cell phone camera was not good enough for viewing anywhere but on the phone itself. Not anymore. I was recently introduced to the DROID Turbo by Motorola in Gray Ballistic Nylon….and Oh. My. Goodness. I want this phone and all of its 21 megapixels. I am convinced that the DROID Turbo is the perfect device for capturing those special memories this summer. 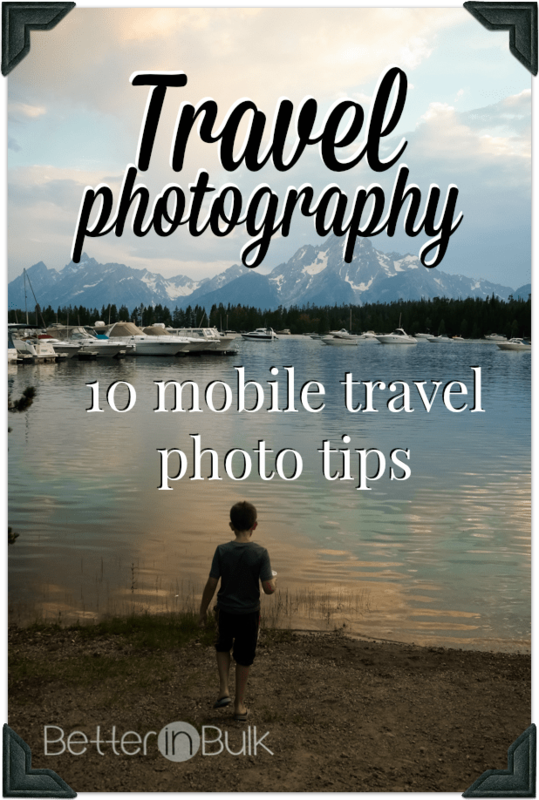 It has so many features that correlate seamlessly with my summer travel photography tips. These ten tips can be implemented regardless of the equipment or skills you possess (or don’t). Now…what will YOU be photographing this summer? Ditch the big camera and stick with your phone camera. There’s something to be said for convenience and size. I’ve always got my phone on me, so I know I can always capture the moments that I don’t want to forget. The DROID Turbo not only has 21 MP, but it also has an impressive f2.0 aperture and dual LED flash, which delivers incredible photos. Change your point of view. Take vertical, horizontal, and panoramic shots. Get up on a chair and take a picture from a higher perspective, or get down on the ground with the grass, flowers, and little kids. You might be amazed at what you see. Did you know that the DROID Turbo is 5.65in x 2.89in and weighs only 6.2 ounces? Be sure you’re charged up. Before you head out for a day of adventure, be sure that you have plenty of battery power to get you through the day. Remember that photos, video, and sharing your adventures on social media will eat up more battery than normal use, and you don’t want to miss that shot because your phone is dead. The DROID Turbo has you covered. With a battery lasting up to 48 hours on a single charge (mixed usage), ability to charge quickly with the TurboPower 15 charger, plus up to 8 hours of mixed usage battery in just 15 minutes of charging….you won’t have to stress about missing a shot with the DROID Turbo because of battery. People or no people. That’s the question. I recommend mixing it up. Take a variety of shots – some with family and friends and others concentrating on the scenery. I used to recommend always including a person in your photos, but I’ve come to appreciate the images of nature and architecture too much to leave those out. Don’t pose every shot. Go for some candid captures of people in action. The candid images are almost always my favorites. They reveal my family’s true personalities, for better or for worse. Speaking of personalities, I love that the DROID Turbo can be customized – you can choose from one of three accent colors (blue, orange, violet). I’d choose violet. Which one would you choose? Don’t forget your most important subject. You! I used to rarely get in photos myself because I was always the one behind the camera. Now, I take selfies with my kids or hand my camera over to someone else to catch a quick shot with me in it. My big camera always intimidates people (and the pictures taken by other well-meaning volunteers often don’t turn out) so I love using my phone for these shots. The DROID Turbo allows you to take a selfie with a voice command – such a great idea! Take an info shot. I love to take a picture of the welcome sign, an information pamphlet, or even a street sign so that I know where we were and what we were doing during a group of photos. When we’re traveling a lot during the summer, like we did on last year’s road trip, and like we’re planning to do again during this year’s road trip in (gasp!) 2 1/2 weeks, it’s hard to keep track of what happened where. Sometimes, instead of an info shot, I post to Instagram and describe where we are and what we’re doing. That image helps keep me organized. Take more photos than you think you need. My rule, now that everything is digital, is Shoot Now. Delete Later. Some of the pictures I didn’t think I “needed” end up being my favorites of the whole trip. It helps that the DROID Turbo has 32 GB on all models and 64 GB on the Black Ballistic Nylon model. That’s LOTS of space for my pictures! Use a cloud service. Uploading photos to the cloud simply brings piece of mind, knowing that your photos won’t be lost if, heaven forbid, your phone is lost or falls into the lake or down the canyon view-point. Special note: the rear cover on the DROID Turbo is reinforced with a layer of Kevlar® fiber. It also has a water-repellent nanocoating that protects the phone from the inside out against an unexpected downpour or everyday spills. Turn on video. Every once in a while, flip the switch on your camera and capture some video. Those videos will be precious in later years (the sounds and movements of children are so easily forgotten when they grow up!). The DROID Turbo can capture 4K videos and replay them on your phone or a 4K TV. Have I forgotten any tips? What would you add? Now…where do you want to take the DROID Turbo?